Nikola Filchev was born in Varna in 1948. He studied chemistry at the Higher Institute of Chemical Engineering in Sofia; later received a second university degree in Law from the Kliment Ohridski University in Sofia. In 1973 he began his practice as lawyer in Varna. 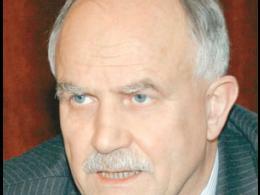 In 1990 Filchev was elected member of the Higher Court (now Supreme Court of Appeals). Associate Professor in Criminal Law and Deputy Chairman of the Specialized Academic Board for Jurisprudence. Lecturer at the Faculty of Law of the University of National and World Economy. In 1997 he was appointed Deputy Minister of Justice in the Kostov cabinet. Chief Prosecutor of the Republic of Bulgaria since 18 February 1999. After his term of office expired in early 2006 he was appointed ambassador to Kazakhstan regardless the strong public reservations. In September 2009 he resumed his lecturing at the University of National and World Economy. Following the Octopus campaign of the Ministry of the Interior caried out in February 2010 his name popped up again in the media provoking many questions. Author of numerous publications (monographs, studies, articles) in the field of criminal law. Master of Sports in boxing.